Perhaps the best indicator of their wide-ranging popularity is that their namesake is aware of their existence. Why See The Molly Ringwalds? For over 15 years, Sir Devon Nooner, Dickie English, Platinum Randi Wilde, Sir Liam Thunders and Lord Phillip Wang have played both hits and hidden gems, focusing mainly on new wave and new romantic hits from the likes of Duran Duran, Depeche Mode and Blondie. 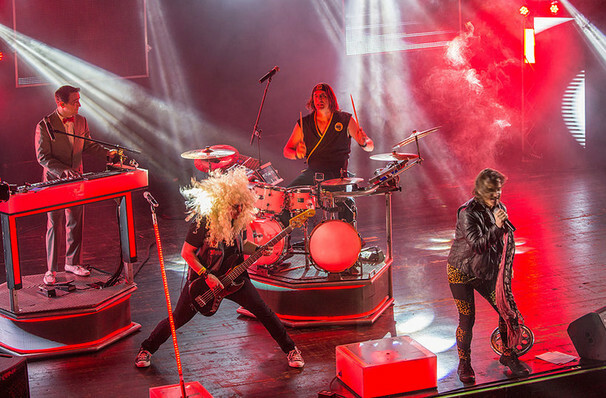 In keeping with the theme, their stage show matches the excesses of the 80s with mobile stage risers and dazzling laser light shows, making for a nostalgia-filled rollercoaster you won't want to miss! Sound good to you? 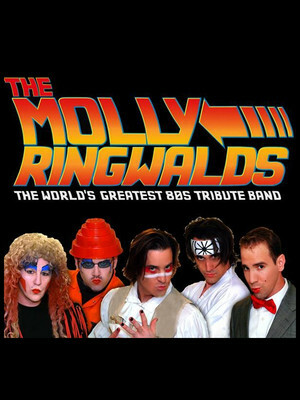 Share this page on social media and let your friends know about The Molly Ringwalds at Dallas Arboretum. Please note: The term Dallas Arboretum and/or The Molly Ringwalds as well as all associated graphics, logos, and/or other trademarks, tradenames or copyrights are the property of the Dallas Arboretum and/or The Molly Ringwalds and are used herein for factual descriptive purposes only. We are in no way associated with or authorized by the Dallas Arboretum and/or The Molly Ringwalds and neither that entity nor any of its affiliates have licensed or endorsed us to sell tickets, goods and or services in conjunction with their events.